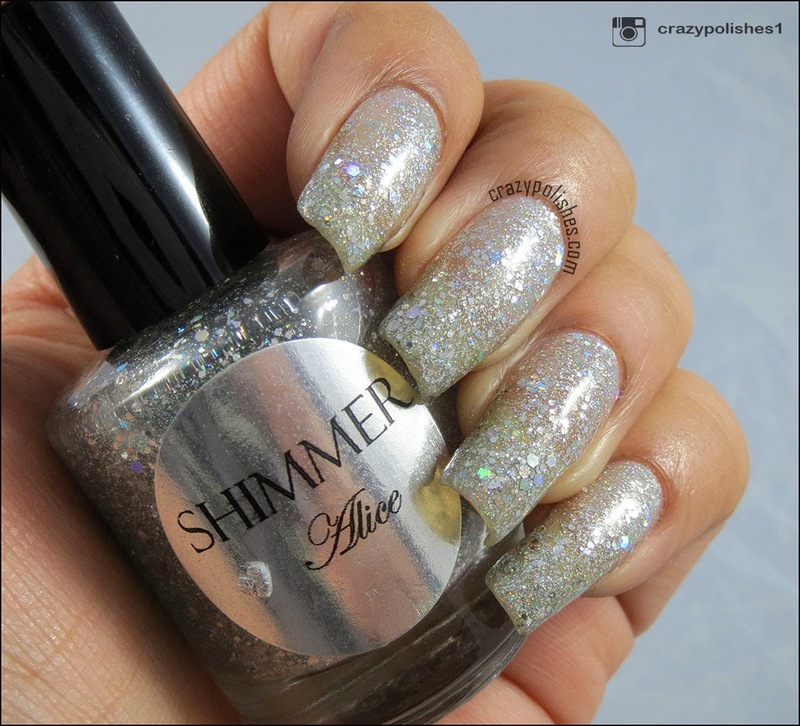 In my last post shared swatches of five Shimmer polishes, today I have another gorgeous and blingy Shimmer Polish to share. 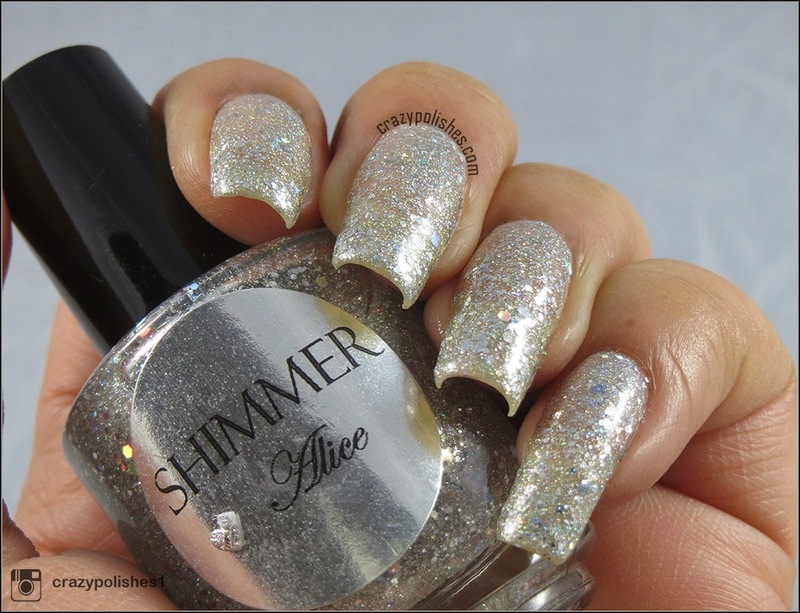 Alice is a bomb of mixed sized silver holographic glitters suspended in a clear base. This can be easily layers over any kinda base or you can wear it on its own. I dont have any other polish like this in my stash so I am so happy to have it. I applied 4 thin coats of it for following pictures and a coat of seche vite. It didnt take too much time to dry. Application was very smooth too.I saw in the description that it has star shape glitters too but I didnt see any neither did I looked for because I didnt know that it has star glitters too at the time of manicure. Anyway I like it as it is. I created a stamping decals with Alice using Moyou Time Traveller Back to 70's -02. Overall, I love this polish. You can buy Shimmer Polish from Etsy Shop. 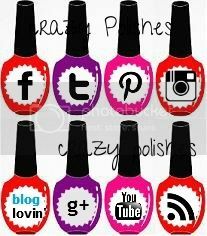 You can also follow Shimmer Polish on Facebook.